We know there are many reasons why people join ZogSports: some for the love of the sport, some for the love of the happy hours, some for the love of the camaraderie, and some for the love of love. 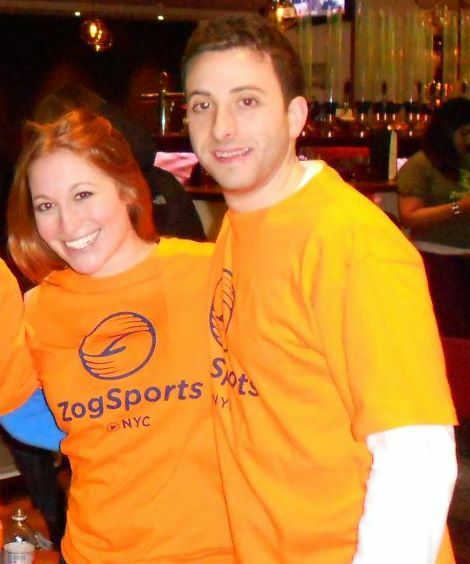 We’re always overjoyed to hear about couples who have met through ZogSports. 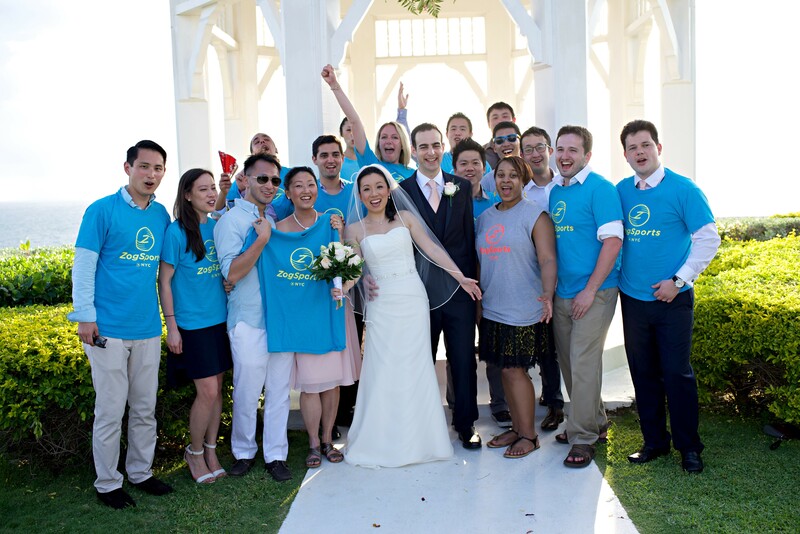 We take pride in the fact that there have been hundreds of weddings, and even dozens of babies, that have resulted through the help of ZogSports. Hi Zog – I have seen so many engagement and marriage stories, so I wanted to share mine! My (former?) boyfriend, Sean Cacciabaudo, and I got engaged 12/01/13. After moving back to NYC, I was having trouble making new friends and meeting good guys. My friend Melissa and I decided to sign up as free agents for Zog bowling on Monday nights to do something different. We were put on a team with 4 other people (Bowling With the Homies, Winter 2012), and I knew it would be a great time because of all our pre-bowling e-mail exchanges. Melissa and I met up with Kirstyn Peterson a few days before our first game so we could get to know each other. That night, Kirstyn showed us pictures of the other people on the team and told me, “I think you’ll like Sean…” A few days later we had our first game and socialized a bit, but it wasn’t until Sean and I realized we both took the 6 train home that we had the chance to really talk. The next week, in true Zog form, we ended up staying at the bowling alley bar well after our games were over, and he later asked me on a date for that weekend. 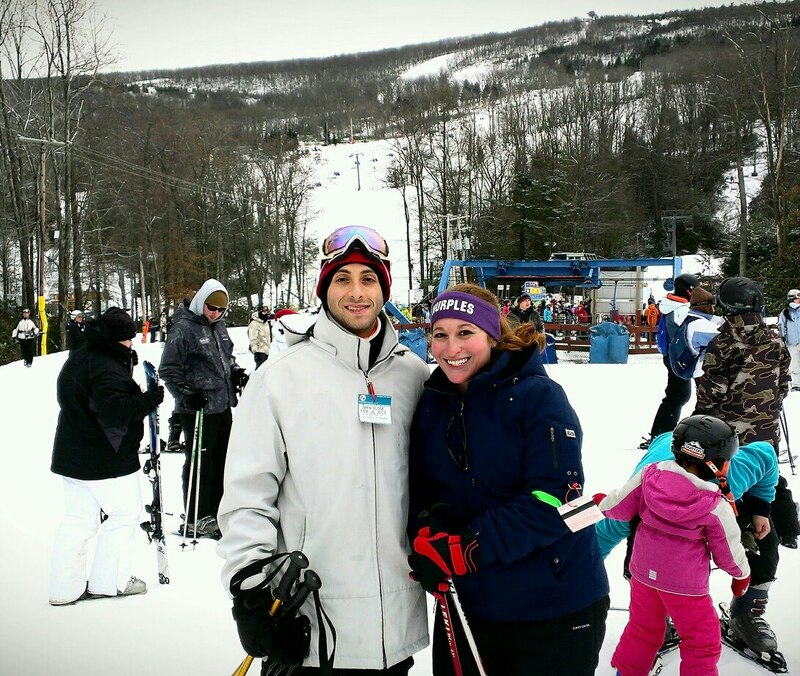 Two and a half years, 11 sports “seasons” as teammates, and a Zog ski day trip later, we are engaged and getting married 11/16/14. Kirstyn is now one of my closest friends in NYC and plays with us as well. Thanks for helping find the love of my life! Thanks so much for sharing your story, Marelle! We couldn’t be happier for you and Sean, and we wish you all the best! The proof is in the pudding, folks! 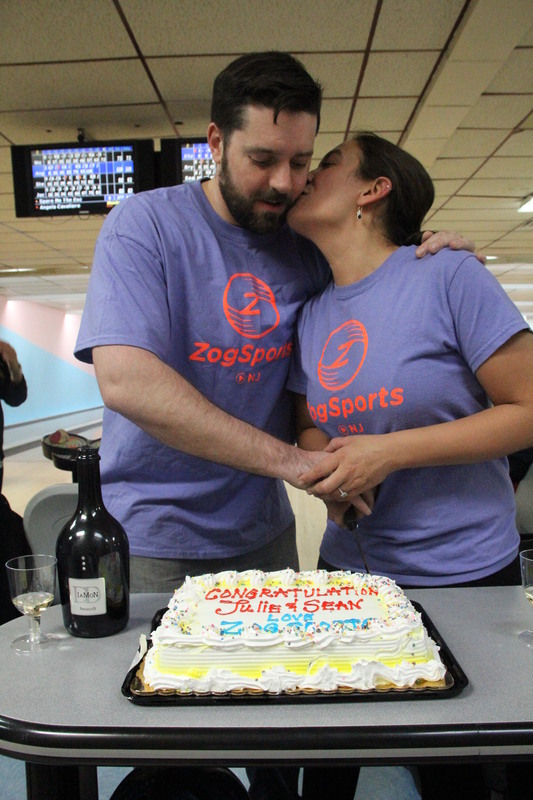 ZogSports not only offers great games and great happy hours, but it can lead to lifelong friendships and can end your search for the love of your life! If you have a story you’d like to share with us, e-mail Ashley@ZogSports.com.